Zimbabwe is one of South Africa’s neighboring countries. I grew up literally 120 km from the Beit Bridge border post (near Mussina) in the Limpopo Province of South Africa. I’ve never visited the country though. So far I’ve covered various countries and cities in this section of the blog. Hope you’ve found this interesting so far. 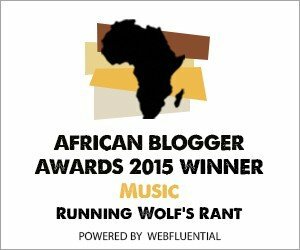 Visit Running Wolf’s Rant for regular updates in the Facts, Movies and Music sections and don’t forget about daily updated Photography and Babes sections. It’s a landlocked country bordered by South Africa to the South, Botswana to the South West, Mozambique to the East and Zambia to the North and has an estimated population of 12 million people. It was first known as Southern Rhodesia (the pre 1965 British Colony named after Cecil John Rhodes) and then known as the Republic of Rhodesia (when the colony declared unilateral independence from Britain in 1965). Rhodesia declared unilateral independence from Britain in 1965 but the new country was only recognized by South Africa. A civil war erupted in Rhodesia which lasted between 1965 and 1979 until the Lancaster House peace agreement was signed to end the war. Zimbabwe’s independence was finally recognized globally in 1980. Robert Mugabe (of the ZANU PF party) is the current president of the country and Morgan Tsvangirai (of the MDC) is the current prime minister of Zimbabwe. Mugabe has been in power since the country gained independence. English, Shona and Ndbele are the 3 official languages of Zimbabwe. The government has banned many foreign broadcasting stations from the country, including the BBC, CNN, CBC, Sky News, Channel 4, American Broadcasting Company, the Australian Broadcasting Corporation and Fox News. There are widespread reports of systematic and escalating violations of human rights in Zimbabwe under the Mugabe administration and his party, ZANU PF. The Zimbabwe dollar was abandoned in April 2009 after it was denominated 3 times and exposed to extreme hyperinflation. In 2008 it was estimated that the country’s annual inflation rate was 516 quintillion per cent (that’s 516 followed by 18 zeros). In 2008 consumer prices on everything from gasoline to glue were doubling on average every 1.3 days. Be on the lookout for posts in the 10 facts section of this blog. Feel free to comment if I’ve left out anything on this post.